The Arts Society Royal Leamington Spa have now produced four church trails. These trails are designed for children of Primary School age and consist of a set of questions which lead them around the building. The responses might be a word, a phrase, a drawing or a number. The aim is to focus on both key elements of any church as a place of worship and to direct the child to look closely at the fabric, features and furnishings of the particular building. The first church chosen was St Chad’s, Bishops Tachbrook. The second trail was completed in the early spring of 2014. This is a larger church, altered substantially over time, with many interesting features. 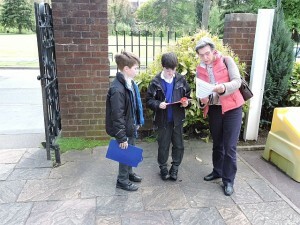 Again we were fortunate enough to have the active encouragement of the clergy and a thriving school. We would like to thank Rev Craig Groocock and Rev Annie Goldthorp, and the Headmaster of Harbury C of E Primary School, Dave Cousens. 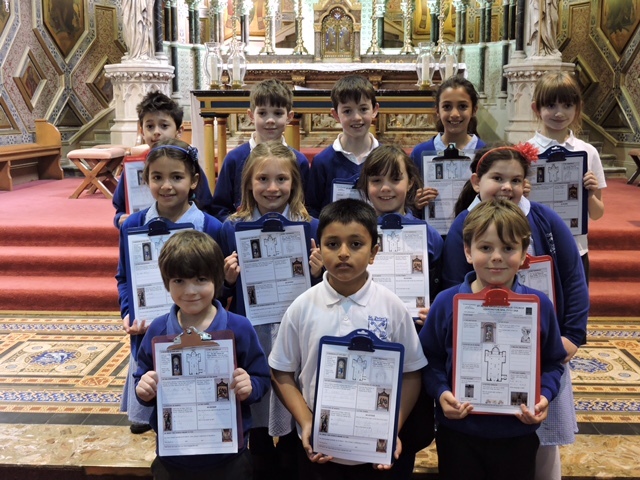 The children who have followed the trail have responded very positively and we also know that visitors to the church have enjoyed looking at the life and structure of the church through using this material. 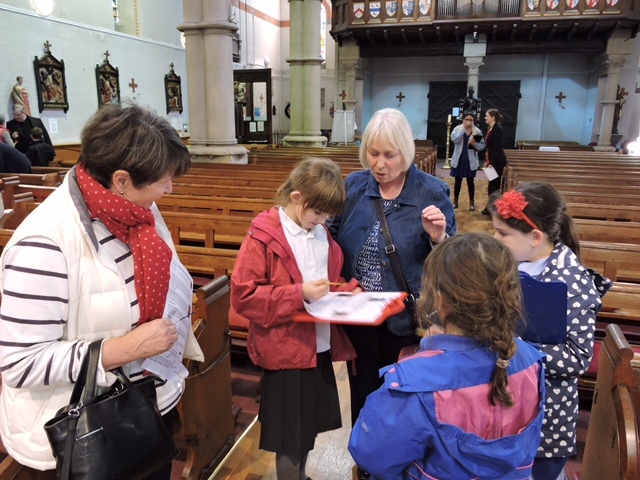 The third trail was of St Peter’s, Leamington Spa, where Rosemary Jewel- Clark and Sally Howells received enormous help from the priest, Father John, whose enthusiasm rivalled their own! This large Catholic town church was a new challenge, but it is hoped that it will be used by schools and some of the many visitors to the church. 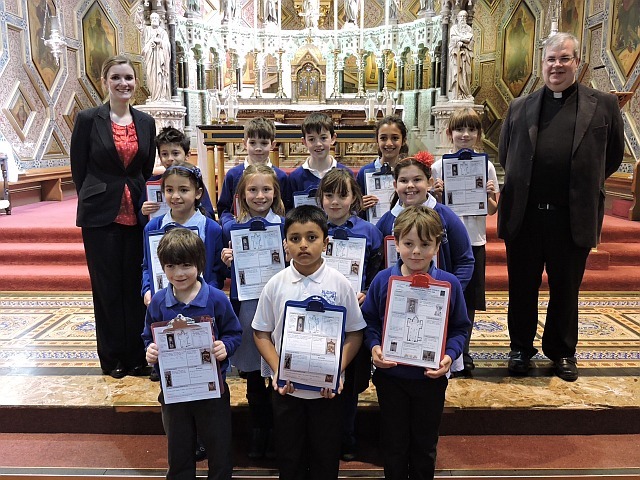 The trail was tested out by a small group from St Peter’s Catholic Primary School and the launch was attended by the whole of their Year 4 group and the Head teacher, Miss McNamara. More recently, a trail of the beautiful St Leonard’s church, Charlecote was completed. 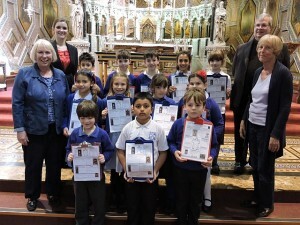 Children from Hampton Lucy Church of England Primary School attended the launch on May 11th. 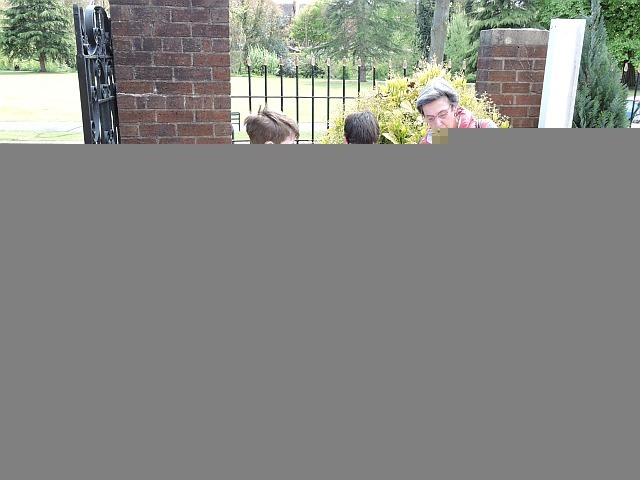 The team were helped and encouraged by members of the church community, especially Helen Hoggarth, Sue Lampitt and Rev David Jessett. It is hoped that many families visiting the National Trust property at Charlecote will also include the church and try out our trail.